Click on the magazine image to read or download the latest edition of On Call. 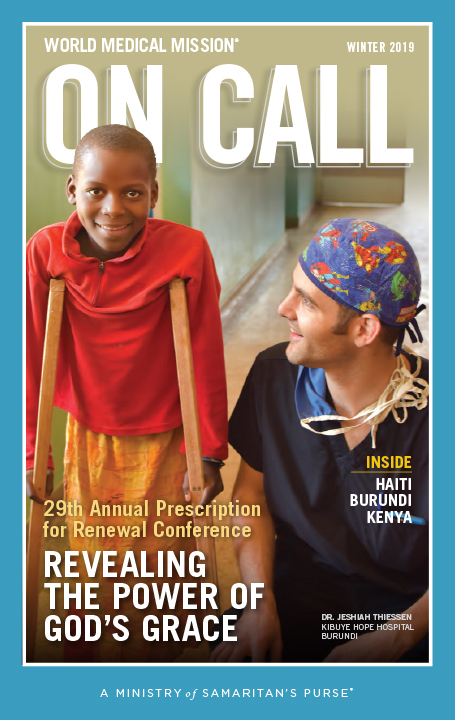 Each issue includes stories of how your support enables World Medical Mission to bring help to the hurting in Jesus’ Name. The “Calling for Help” page includes a list of mission hospitals that need short-term assistance. Please consider volunteering your services if you are a doctor in one of the listed specialties.